Make note of the B♭ that shows up on measure 6. There’s also a G♯ on measures 15 and 18. 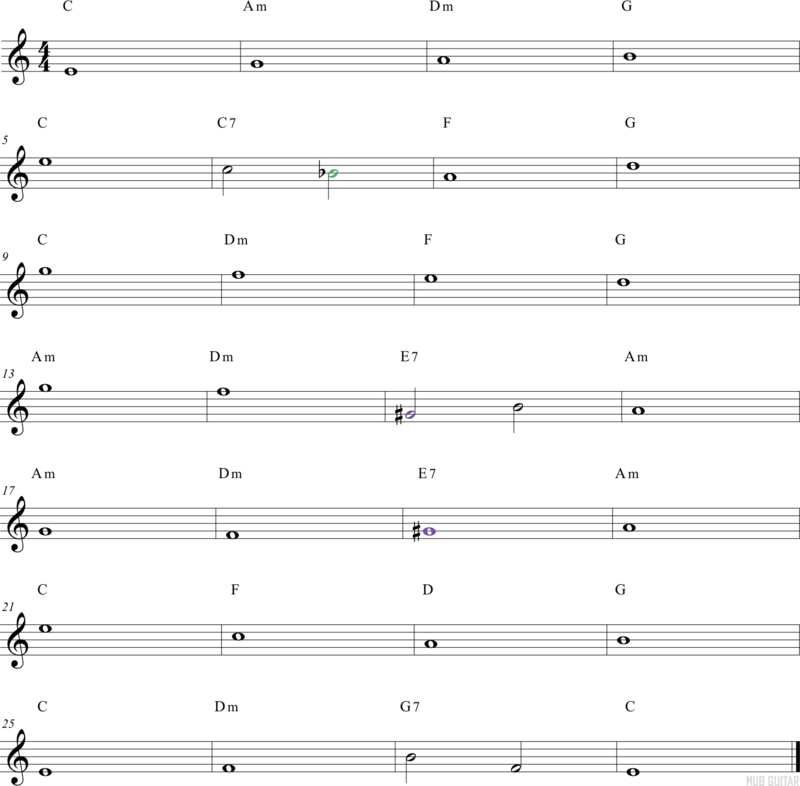 The melody uses half notes, which is a whole note split into two pieces. You should count four even beats for every whole note, but when you see the half notes, count two beats.